Invitation to the 23rd anniversary of the Recovery and Foundation of the 5 de Marzo neighbourhood. The Cinco de Marzo neighbourhood, in the southern half of San Cristobal de Las Casas in Chiapas, is deemed “recovered land”, after the area was squatted during the 1994 uprising. We invite all adherents to the Sixth Declaration of the Selva Lacandona to the commemoration of the 23 anniversary of the occupation of the lands of our community. 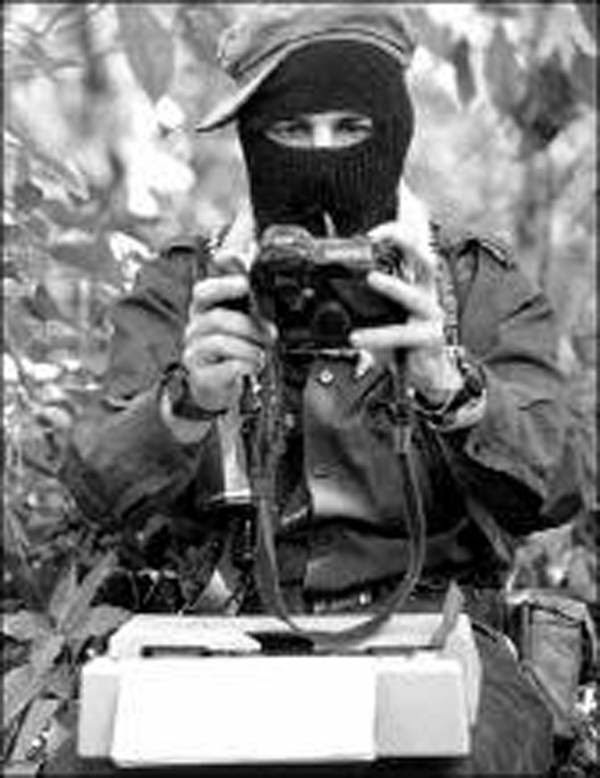 Sisters and brothers, today it’s our turn to commemorate our sacred and blessed land, which was recovered through the strength of the Zapatista uprising in 1994. We want to share our little history, a history that has marked the lives of all of those in the community, as well as those who are no longer with us. We are diverse: Tseltal, Tsotsil and Chol Mayans. Housewives, menial staff, peasants, teachers, workers, unemployed, traders, builders, students, children, women, men, old people, people of little means. Those from below. We also want to mention at the same time all the harassment we have received at the hands of all three levels of the bad government, with the complicity of the Federal Electricity Commission, the neighbourhood council, and various members of our community who want to do us down, and to privatise our lands. This is one of the worst blows we’ve suffered. It’s for this reason that today we’ve decided: that’s enough! We want to commemorate our anniversary, and remind ourselves who we are, and where we’re going, so that our goal reaches others who share our pain and our anger. We know however that at the end the light of peace and happiness is waiting for us, and this hope keeps us steady in our struggle, which continues daily. For the reason, we invite you to celebrate our anniversary, and we give our thanks in advance for opening your hearts to our call. For this we send a sincere greeting to all of you. The commemoration will take place on 5 March 2017 from 8am onwards, at a venue that we will publicise later on. We will also announce the full programme of events later. We send this invitation to our brothers and sisters, and all of those who accompany us in the Sexta and the CNI. The Land is Not for Sale!!! It is to be worked, and looked after, and defended.